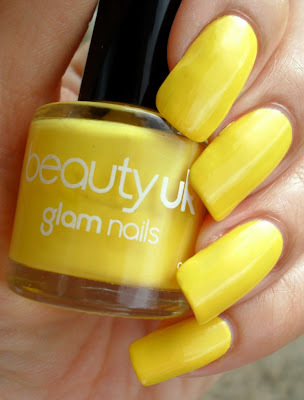 Today is day three of the manicure challenge and the colour is yellow - a colour I usually never wear on its own, only as part of a manicure. This was three coats. For some reason these sorts of colours are difficult to get right in less than three coats; they are streaky. Hmmm...still not something that I'd wear on its own! 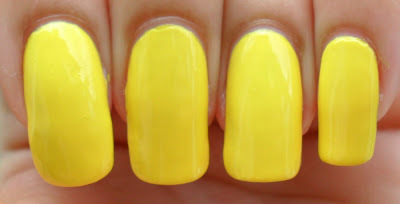 I was hmm about my yellow mani too! Just posted it and took it off after forcing myself to wear it for the day! 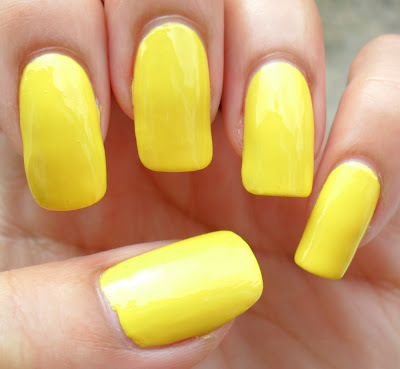 I love this yellow! But I have a serious love for yellow polish..